Biden Bombshell - Dr. Sebastian Gorka on Hunter Biden's billion dollar deal with the Chinese: I am rarely at a loss for words, but this is potentially one of the biggest pay-for-play scandals outside of Uranium One. Peter Schweizer new book, 'Secret Empires' reveals that 10 days after Joe Biden and his son visit China in 2013, a Chinese bank completes a $1 billion deal with Biden's son who then buys Hennings, a U.S. military supplier. Like the Secretary Hillary Clinton Uranium One deal, Secretary of State John Kerry had to sign off on the deal for approval of the sale. WHAT WILL SLEEPY SESSIONS DO? FIRE SESSIONS! SESSIONS! SESSIONS! KEEBLER ELF! Here, I saved you anti-Sessions FReepers time OK? Ramirez political cartoon: Trade War LARGE VERSION 03/12/2018: LINK LINK to regular sized versions of his political cartoons (archive). 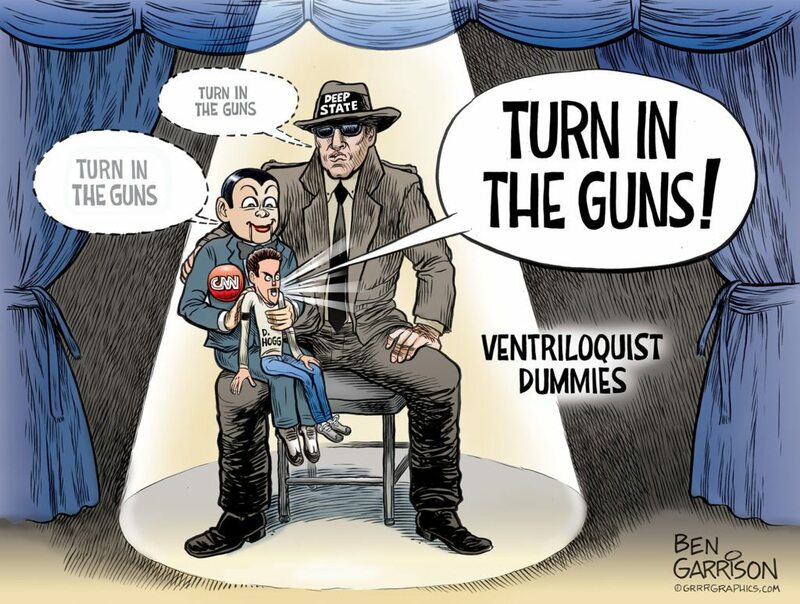 Garrison political cartoon: Gun Control Supporters LARGE VERSION 03/13/2018: LINK LINK (scroll down) to regular sized versions of his political cartoons (archive). FReepers, 90.606% of the First Quarter FReep-a-thon goal has been met. Click above and pencil in your donation now. Please folks, lets end this FReepathon. Thank you! It’s amazing how thus was kept under wraps for five years now. Who’s gonna bring it to light? The 95% Democrat media? Did our “Crack” FBI director Mueller or Comey investigate this? If so, what happened? If not, WHY NOT? The same for our Crackhead AG/DOJ leader Erich Holder. What did he know and what did he do about it? Guess I’ll have to buy the book. Put it next to Hillary’s new book “How I Scammed America’s Uranium Industry and Got Away With It” - Forward by James Comey, James Clapper, John Brennan, Erich Holder and Barack Obama. Xan a du .... Chinas friendliest home town. What in God’s name is wrong with you? How old are you? 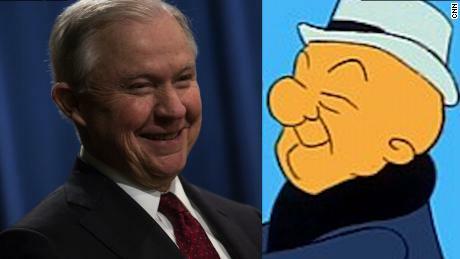 Are you so young that you are so easily snowed by this Sessions clown? Good God. JEFF MAGOO TO THE RESCOO!!! That word family takes on a special meaning today. Now... back to BIDEN! Hillary REDUX. LOL! Yup. The Chinese way overpaid a bribe for Biden. Biden is like the AOL of politicians and apparently the Chinese are playing the role of Time Warner. Duh, Biden’s son and Kerry’s son are in business together. No conflict of interest there .......... not a smidgen!